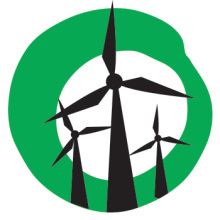 Love wind energy?… Then vote for it! Are you one of the 75 percent of Australians who want more wind energy built? Then you’d probably like to know where your preferred political party stands on clean wind energy. On election day, we’re happy to offer the following guidance. Our friends at the Victorian Wind Alliance have prepared a wind energy scorecard for the major political parties. VicWind has also reviewed the stance of major party candidates in Ballarat, Corangamite, McEwen and Wannon–some of Victoria’s key wind regions. If you’re hungry for more details, you might like to revisit Yes 2 Renewables‘ Pollie Watch posts on Liberal candidates for Corangamite, Sarah Henderson; Hume, Angus Taylor; and McEwen, Donna Petrovich. Suffer in your jocks kiddies. Labor and The Greens have been thrashed. Tasmania especially has seen the light and given The Greens the Big A. Greens are down about 25% on last election – a massive drop but not surprising given their fairyland policies. And don’t look to Communist Bandt & Co for Senate support – the new crew are largely Right; some are even RWDBs. Lights going dim fellers? Better get the peddle-powered generators out of the shed and dust off the cobwebs, after all, none of you are connected to that nasty coal-powered electricity are you? I feel all the govt handouts for wind farms are about to be history.Oh well all scams get found out in the end!!!!!!!!!!!!!!!! !The wind industry will have to stand on its own feet which will last about 5 minutes.Better start looking for a job guys maybe helping those people whos lives you have destroyed. Can you point to “all the govt handouts for wind farms” ? A recent report from the International Energy Agency (IEA) complained that across the world, government subsidies for the renewable energy industries amounted to $88billion but to the fossil industries it amounted to $243billion. In Australia, there are no government ‘handouts’ for wind farms. RECs are the biggest government handout of all time! RECs are a feature of the RET which was a Howard government initiative set up back in the nineties. It is a natural element of the market structure so favoured by the Liberal party and its neo-liberal icon, John Winston Howard. RECs are NOT a handout. Victoria’s early turbines thanks to JWH. Thanks JWH! At this stage of 2013, there are well over 1 million homes across the country with grid connected solar power systems installed. These installations generate a number of RECs for the homeowner by virtue of the market mechanism built into the system. The number of RECs is proportional to the number of panels in the array. The homeowner may keep the certificates in expectation of a higher price further down the track or sell them on the spot to the installer who reduces the cost of the installation by that amount. This feature is one of the attractions of the deal. I have not yet heard one single complaint from the rooftop solar people about the RECs. Although I am looking forward to the first complaint about “infraglare”.